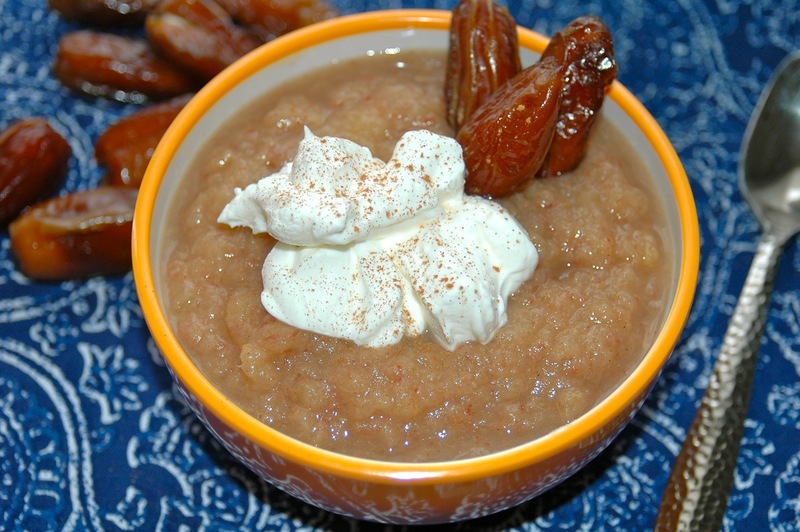 Spruce up simple applesauce by adding some chewy dates. 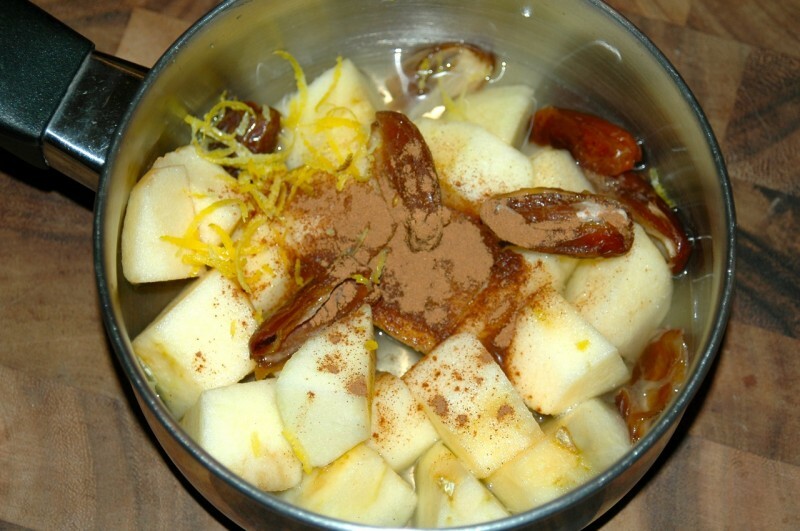 This apple date compote is a delicious variation of the traditional recipe, with naturally sweet Medjool dates, tart lemon zest, and a ton of earthy cinnamon. I’ve come a long way for someone who never even gave dates a second look at the grocery store. Nowadays, I can’t imagine NOT having dates stocked in the pantry…they’ve become one of my favourite ingredients to use in the kitchen. 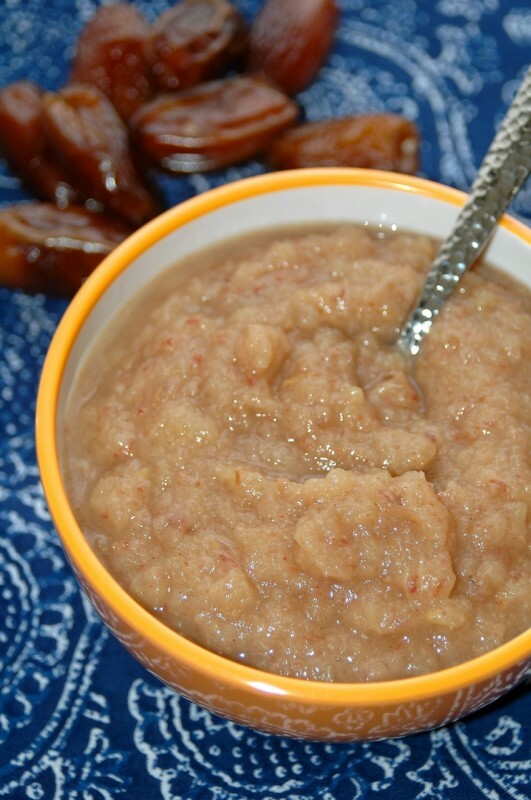 Dates are a healthy and naturally sweet ingredient that lend well to dessert recipes. 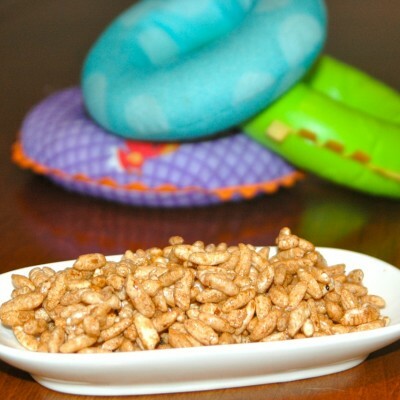 They are packed with fiber, natural sugars, calcium, magnesium, and aid in the digestive process. 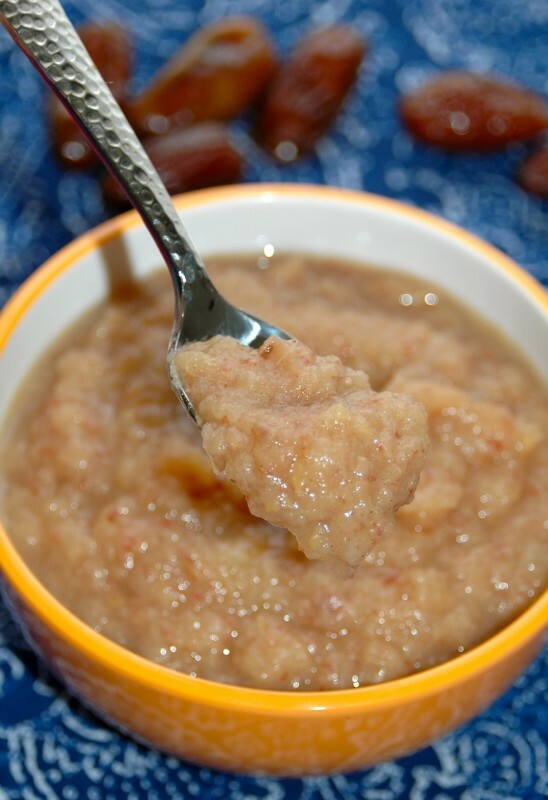 The combination of fiber-rich tart apples and sweet dates make this compote a deceptively delicious and healthy treat for the kids. The addition of fresh lemon zest balances out all the sweetness and adds an interesting depth of flavour and freshness. 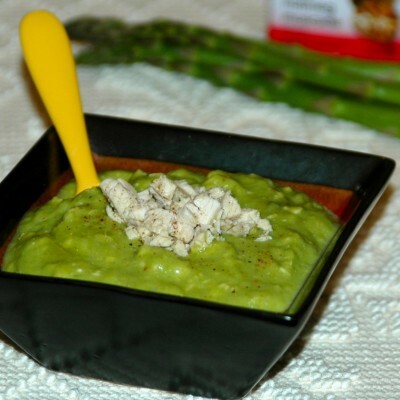 Whenever I prepare this I usually triple (or even quadruple) the recipe. This compote lasts in the fridge for up to a week and freezes well. Peel the apples, remove the seeds then chop into 2 inch pieces. Add all ingredients to a small saucepan, bring to a boil then immediately reduce heat to medium-low. 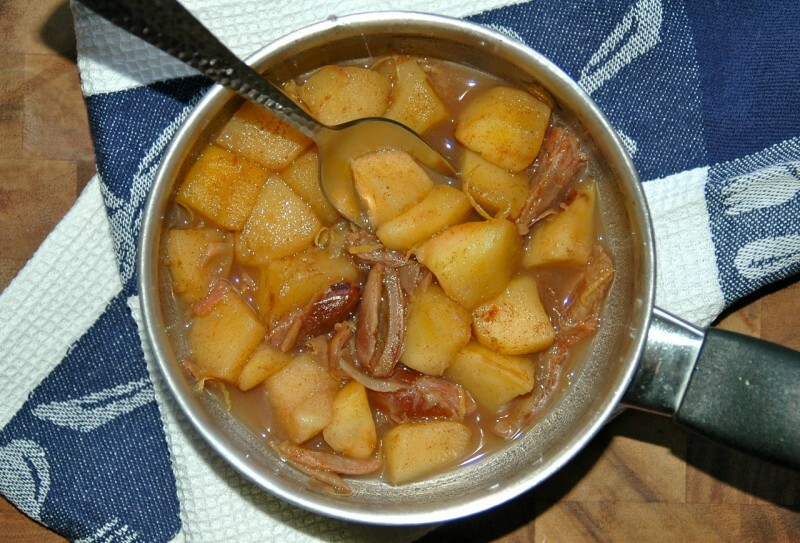 Cook on medium-low for about 12-15 minutes or until most of the water has evaporated and the apples and dates are fork tender. *TIP: If you accidentally add too much cooking liquid you can always thicken the compote with ground flax or dry cereal, such as rice or oat. Add the compote to a small food processor (or use an immersion blender) with some of the liquid and blend until you get the desired consistency. If you prefer a smoother consistency simply add more of the liquid. *Be sure to check for unprocessed large pieces of dates before serving. Garnish with an extra sprinkle of cinnamon and serve warm or cold. 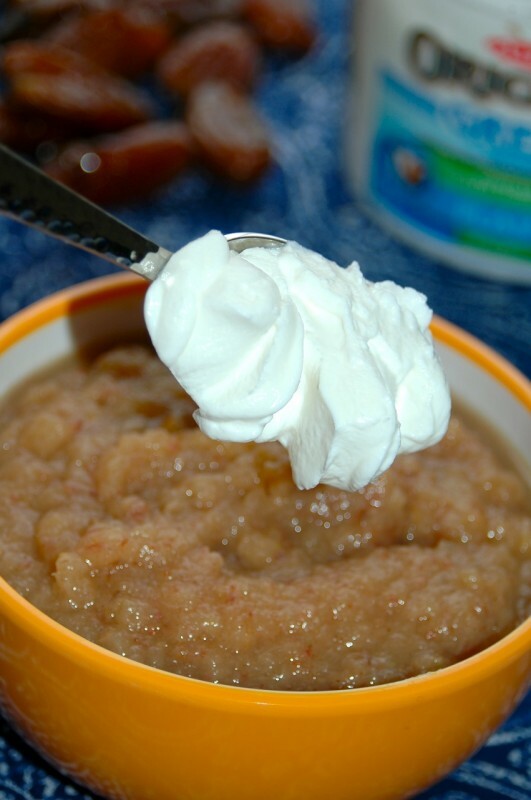 If desired, add a dollop of Greek yogurt. I made this recipe x5 to fill some pastry dough I was making and just the compote by itself was amazing. 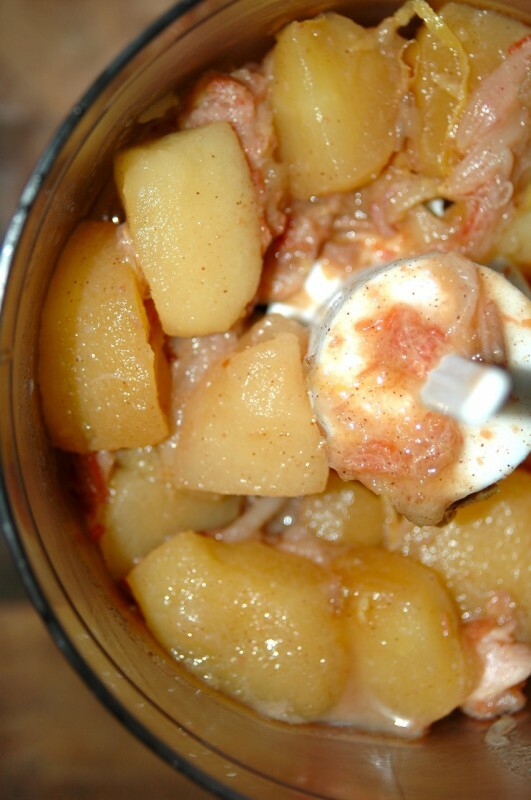 I had never been a giant fan of sugary apples in apple pie or even cinnamon, but this apple date compote was a hit with my boyfriend, myself, and the office party. Thank you!